BEWA (Business Educators of Western Australia Inc.) is the voluntarily run professional members’ association for business educators in Western Australia. BEWA provides a forum for discussion on its Facebook page. 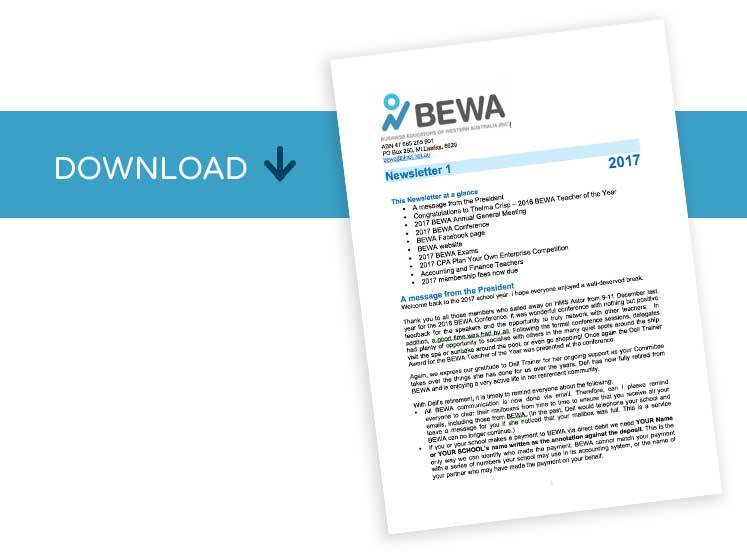 At the national level, BEWA is an affiliate of BEA (Business Educators of Australasia Inc.) which represents similar professional teacher associations in all Australian states and territories. The 2018 BEWA Conference will be held from 8.15am until 3.00pm on MONDAY 3 December 2018 at the Business School of the University of Western Australia, Crawley Campus.